When an Ontario orange 1972 Corvette was listed for sale this week it was quickly chosen to be Cars-On-Line.com’s Deal of the Day for Saturday. Corvette lovers will be shocked at the sticker price. It is considered the best bargain on the internet this weekend. 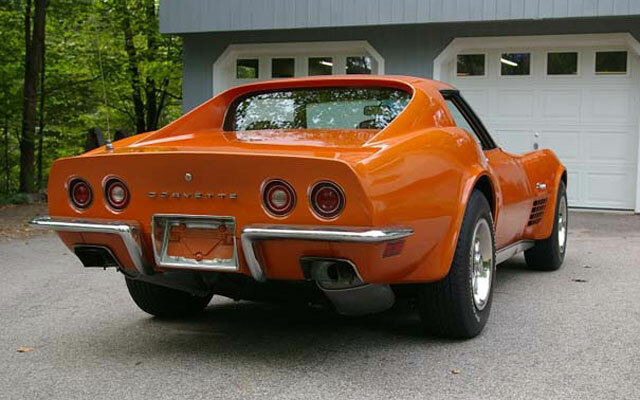 A sharp looking Ontario orange 1972 Corvette is being offered for sale by a private seller in Conway, New Hampshire. The seller says it is a “nice driving Corvette with a recent rebuilt non-matching numbers 350 ci V8. All else original.” (Follow this link to review the advertisement and contact information.) It has had one repaint in the original color, and the seller says it has the deluxe interior, with power brakes, power steering, air conditioning (needs work), tilt telescopic steering wheel, headers, a healthy cam and very good tires. He says it has a great frame and a “no-hit” body. He says the carpet and seat belts could use replacing. It will be our DEAL of the DAY on Saturday this week. The asking price is only $18,000. Now that’s what we’re talkin’ about. 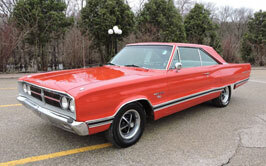 The Deal of the Day preview gives you first shot at all the cars that will be highlighted in the Deal of the Day feature on the Cars On Line home page. Often these cars sell in the newsletter before they even make it to the home page! For a preview of all of the Deals of the Day for the coming week you may follow this link to this week’s Cars-On-Line.com newsletter.